If you have been driving in rural eastern Iowa and noticed a lot of choppers and wagons, you might have been seeing the UI Biomass Fuel Project Miscanthus harvest. Miscanthus (Miscanthus × giganteus) is perennial warm-season grass used for energy and products in Europe, and increasingly, in the US. The University of Iowa (UI) has been developing Miscanthus as a replacement for coal in the UI power plant since 2013 as part of the Iowa Biomass Fuel Project (BFP). Using Miscanthus, wood chips, and oat hulls from Quaker oats, the UI plans to be completely off coal by 2025! The Heaton Lab and CLG partner with UI to provide agronomic and extension support to the BFP. Miscanthus is a good choice for the UI because it is one of the most productive crops that can be grown in temperate climates like Iowa (producing ~8 tons of dry biomass per acre per year) and it does it without much need for fertilizer or pesticides, making it a very environmentally friendly crop. It has a big root system, like other perennial grasses, so it is great for holding soil and cleaning water, as well as providing a home to critters above and below ground (Figure 2). In addition to energy, Miscanthus is also being used for poultry bedding, mulch, and erosion control. 1) it needs to be dry if it is going to be efficiently burned, so the crop dries all winter in the field. 2) Leaving it in the field saves on storage. 3) Letting the plant fully senesce lets the crop to recycle nutrients from the shoots back to the below-ground rhizomes for use the following season. 4) Over the winter Miscanthus slows blowing snow, holds soil and provides shelter for wildlife. Now that the crop has been harvested, new miscanthus shoots will start emerging when soil temperatures reach 50 ℉, so hopefully any day now! Silage Chopping:A silage harvester can harvest whole plant material after it dries down in the field (Figure 1). Chopped material is blown into carts or traditional trailers similar to corn silage harvesting. If a cart is used, a tractor trailer stationed at the edge of the field can transport the miscanthus to storage or directly to the plant for energy generation (Figure 3). Check out a harvester in action here. Mowing and baling: Miscanthus can be baled into round or square bales (Figure 4) similar to corn stalks. Travel and transport can be greatly improved with baling to increase crop density. Our research indicates a little of these crops can go a long way: replacing consistently low-yielding corn/soy with a perennial grass can meet Iowa’s water goals (reduce N in water by ~40%) while making farmers more money. That’s a refreshing alternative to the billion-dollar price tag we usually hear for improving agriculture’s water quality impact in Iowa! Stay tuned to CLG and @ISUBiomass to learn more about putting perennials like Miscanthus into underperforming row crop fields. What does it take to weather-proof a cropping system? Yesterday, during an Iowa Learning Farms webinar, Dr. Jerry L. Hatfield suggested that the answer to that question lies in our soil. He shared research findings that show the importance of soil quality in rain-fed agricultural systems to reduce variation in crop yield and increase yield overall. Hatfield, who is Laboratory Director and Supervisory Plant Physiologist at the USDA National Laboratory for Agriculture and the Environment in Ames, IA, conducts research that focuses on understanding the dynamics of the G x E x M (genetics x environment x management) complex to evaluate the role of soil, with the changing weather, on crop performance. Hatfield’s research has found that in rain-fed systems, better soil means a better crop yield, when looking at counties in three Midwestern states. Nebraskan counties, which all used irrigation, were an outlier in the data showing that if you can control the water, the quality of soil is less important. In rain-fed agricultural systems, like we have here in Iowa, the soil quality is very important since the water cannot be controlled—having higher quality soil will lead to higher yield amounts and less variation in yield. How can you improve your soil quality? Hatfield suggested the use of strip-till or no-till in the place of traditional tillage. Crop residue on the surface has benefits for the soil—providing food for the complex soil biology and stabilizing the soil micro-climate. Cover crops are another way to improve soil health and further research is being conducted on the benefits of different types and combinations of cover crops. In addition to the benefits to soil quality that no-till and cover crops can provide, they can also sequester carbon, reducing the amount that is released to the atmosphere. To learn more about how improved soil quality can weather-proof your cropping system, and the use of no-till and cover crops to improve soil quality and reduce carbon loss to the atmosphere, watch the full webinar here. 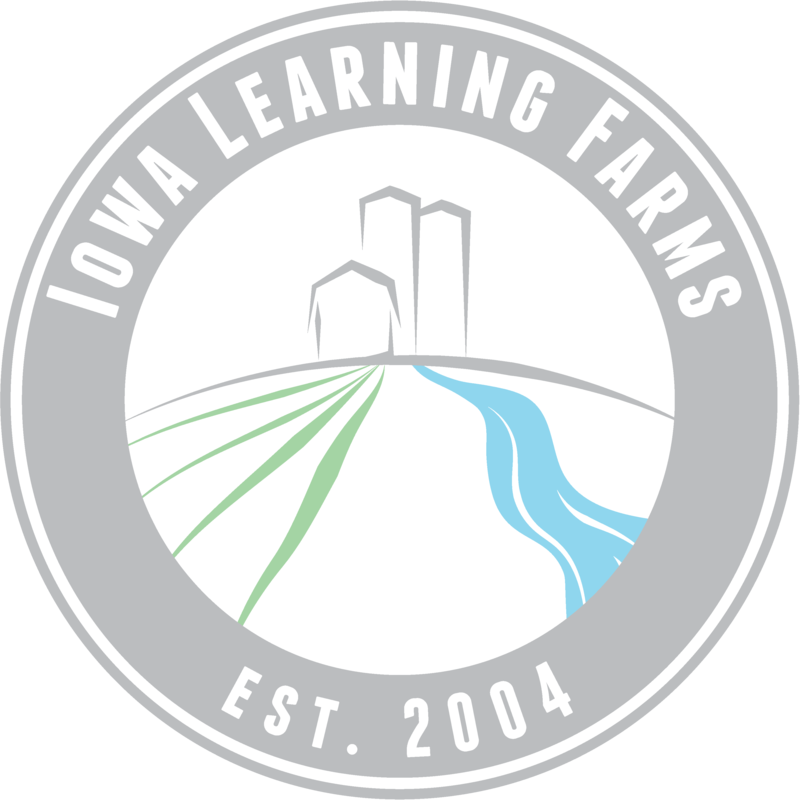 Tune in next month, on Wednesday May 15 at noon, when Emily Waring, Graduate Research Assistant at Iowa State University, will present an Iowa Learning Farms webinar titled “Cover Crop Impact on Crop Yield and Water Quality: Single Species vs. Mixtures”.